The American Association of School Administrators (AASA) provides EPA’s Tools for Schools Kit at no charge. They work with public schools and school districts throughout the nation, to improve school environments by educating students and staff. AASA provides presentations, outreach, technical assistance, training, exhibitions, webcasts and resources. They direct special attention to schools serving disadvantaged and minority youth in urban communities. Beyond Pesticides—Children and Schools formerly the National Coalition Against the Misuse of Pesticides, has as a primary goal is a world free of toxic pesticide. The website includes the School Pesticide Reform Coalition. California Watch does investigative research on a variety of issues interesting to even those not living in the state. Those issues include K-12 and Higher Ed. But they also do continual reporting on safety problems surrounding schools and earthquakes in California. They provide a number of videos about this issue. Center for Health, Environment & Justice (CHEJ) is an environmental group that builds coalitions and which take pride on making the world cleaner and healthier. CHEJ provides a valuable report entitled Building Safe Schools: Invisible Threats, Visible Actions. 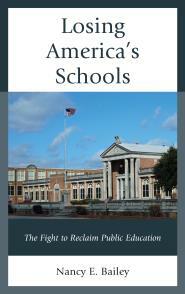 This website provides links to campaigns beneficial to those who advocate good school facilities. 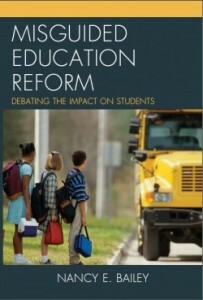 Advocacy and education of the general public, including policymakers, on the efficacy of school design and student outcomes; resource for planning effective educational facilities. Training and professional development of our members and others through current program, workshops, seminars and conferences promoting best practices in creative school planning. Research and dissemination of information regarding the linkage between the educational facility, its design and student success. Indoor Air – IAQ Tools for Schools involves the U.S. Environmental Protection Agency site and provides answers to frequently asked questions concerning schools and air quality. They also provide a wealth of publications including Indoor Air Quality Tools for Schools Kit. A special link involves “Managing Asthma in the School Environment. The EPA site has other interesting information. Integrated Pest Management search “schools” –this website is out of the University of California website and provides information, educational resources and research, useful to schools on how to manage pest control safely. The National Clearinghouse for Educational Facilities provides information about school facilities for administrators and those advocating good school facilities. It provides information on planning, designing, funding, building, improving, and maintaining safe, healthy, high performance schools. Charter school facilities are included. The information includes links and updated news concerning school facility issues. References and statistics having to do with educational facilities are provided. Playworld Systems “Because the World Needs Play” A place where you can buy playground equipment for recess! Project Clean: Citizens, Learners, and Educators Against Neglect provides valuable information about restoring, “cleanliness, safety, respect, and dignity to our schools’ restrooms.” Attention is also drawn to environmental concerns such as bad plumbing and water usage and waste. Creator Dr. Tom Keating’s book is Project Clean: Safe, Sanitary School Restrooms. “Buildings, Not Drills, Hold Key to Disaster-Proof Schools.” by Nancy Bailey, Barry Welliver, & Edward Wolf.Education Week. July 18, 2011. “Earthquakes Threaten Many American Schools.” by Nancy E. Bailey Phi Delta Kappan. 91 (7): 35-39 April 2010. “On Shaky Ground” by California Watch is a California “investigation uncovering the systemic failures by the state’s chief regulator of construction standards for public schools.” Everyone should look into school building safety no matter they live. “URM-FREE By 2033: Toward A National Safe Schools Agenda” by Edward C. Wolf and Yumei Wang, P.E. Pre-publication draft.